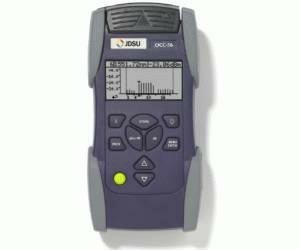 JDSU OCC-56 SMART Optical DWDM Channel Checker is an innovative selective power meter for DWDM applications. The OCC-56 is a low-cost alternative solution to optical spectrum analyzers (OSA) and automatically scans power levels for channels defined in the ITU-T grid. The Smart DWDM Channel Checker is available in two different versions: the OCC-56C covers all ITU-T frequencies from 1528 nm to 1564 nm based on a 50 GHz grid and the OCC-56L is the complementary channel checker to address applications in the L-band from 1570 nm to 1609 nm.